The governor has used the word countless times to describe Virgin Islanders who he deems troublemakers, and have said, following Hurricanes Irma and Maria, that the cantankerous should leave the territory on mercy cruises and flights. 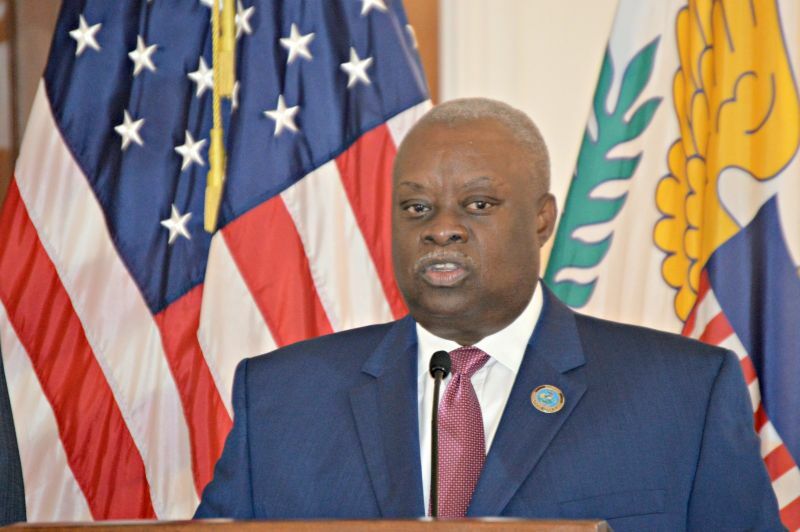 But no one has proven to be more cantankerous than the governor himself, who has rudely and disrespectfully shutdown journalists seeking to ask questions pertinent to US Virgin Islanders, and has constantly berated those who oppose his point of view. Last night at his press briefing, October 18, 2017, Mr. Mapp took aim at a Consortium reporter, who is also the online paper’s founder, Ernice Gilbert. Mr. Gilbert, who was first to ask questions following the hourslong briefing, inquired about the Disaster Supplemental Nutrition Assistance Program (DSNAP) checks, which were supposed to be issued on October 16, 2017 but got delayed for two to three weeks. 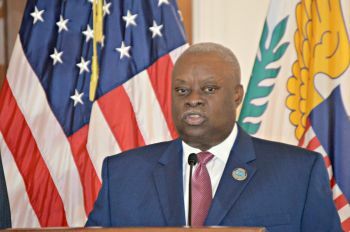 During his Friday press briefing, Mr. Mapp said the decision to delay the DSNAP checks was based on his administration’s belief that residents would use the funds to purchase frozen items, and since power is still widely unavailable territory-wide, those items would spoil soon after. “I’m not gonna do that, I’m not gonna do that,” Mr. Mapp interrupted when the question was posed. “The DSNAP programme will be rolled out in November. That’s the plan, that’s the agreement with the federal government, all the work is being put together to do that. Today is October 18, the Disaster SNAP programme is not a direct response to a disaster.” Mr. Mapp said he had a long conversation with Department of Human Services officials, and he agreed with them that residents would buy frozen items with their DSNAP checks, and so the decision to delay was made. Mr. Gilbert then attempted to ask whether there were other issues causing the delay, but the governor completely lost control and gave way to his cantankerous behavior, shouting the reporter down while refusing to answer. He then said he would allow one more question from Mr. Gilbert, however when Mr. Gilbert told Mr. Mapp that his question would remain in the same vein, the governor would not allow the reporter to ask the question, and hastily moved on to another reporter. “That was your last question,” he said, although Mr. Gilbert never got to ask it. This is not a time for this governor to demonstrate juvenile behaviour unworthy of the governorship. Looks like we have a little Trump in the VI. Unbecoming behavior. Was he impared? Some people can't handle power. It sounds like power has gotten to his head. No wonder this guy is not only big in his head, but busting out of his skin. He apparently bar hops consuming excess calories. I hope the voters remember his behavior and attitude the next election. I knew there was something about this puggy big headed man i did not like. It all makes sense now. @Xxxx, he better enjoy and savor the good life on our taxes while he has the chance. Come next election, he's getting off the Throne. He's so damn selfish. He is" President" of the USVI and that's all there is to that.He is also human and given the circumstances of current conditions lottsa cantankerousness will be around.